Philadelphia winter weddings are so beautiful. There is something so special about the gorgeous architecture of Philadelphia under a blanket of white snow. Having lived down south for many years, it's always such a joy to see a beautifully snowy wedding day. At this Philly winter wedding, the bride got ready with her bridesmaids at her parents’ house in the suburbs before heading to the church for her wedding ceremony. I love it when clients choose to get ready at home, or at a location that is meaningful to them. While sometimes getting ready at a hotel or venue is inevitable due to location, I always find that clients are relaxed in their own homes in a way they never are at a venue or in a hotel. Also, it's lovely to have the background of your getting-ready images be a location that's meaningful to you! Should I go out in the snow on my wedding day? When it’s raining or snowing outside, I always ask my clients if they’re comfortable going outdoors for portraits. I don’t ever want brides or grooms to go out in inclement weather if they’re not okay with it! 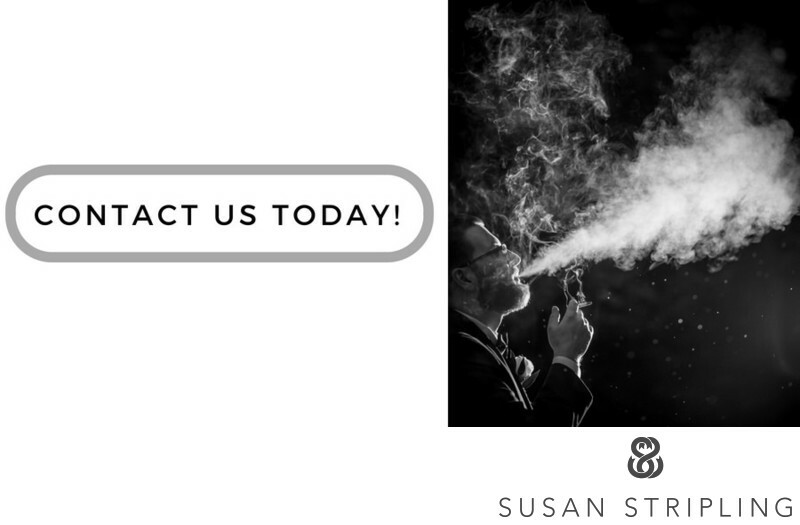 If you want to go outside for snowy pictures on your wedding day, but aren't sure about how that will logistically work, just ask your photographer. I can talk to you about how to keep your dress as dry as possible, and how we can maneuver around the city as easily as we can! This bride was totally willing to endure the snow for a few beautiful portraits, so we stepped into the street with her bridesmaids for a few quick images. I am so grateful and thankful to her and those ladies for braving that snow! What started out as a few simple flurries rapidly turned into a snowstorm, but they were willing to go out anyhow. 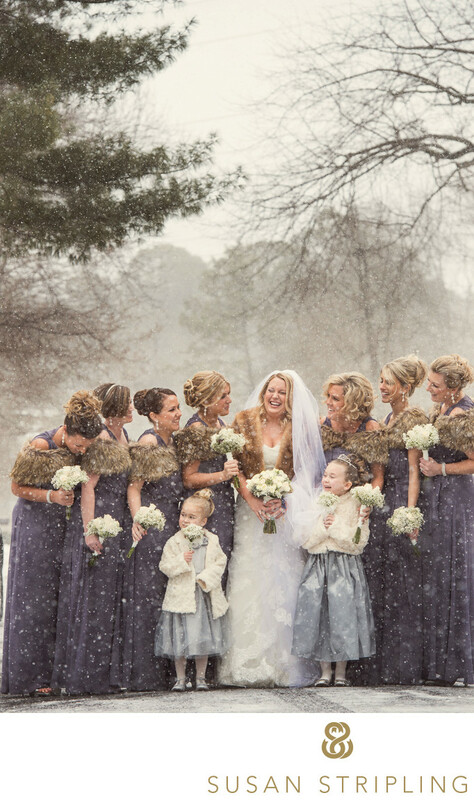 If it’s snowing on your wedding day, and you want to go outside, let’s do it! If you’re not comfortable with being out in the wet snow, don’t worry about it. We can still make beautiful images indoors! The most important thing to me is your comfort, and I never want you to do anything that you don’t want to just for a few portraits! 1/400; f/5.6; ISO 720; 140.0 mm.